Demand for a good arises because of its perceived benefit. This is not so with regard to the pieces of paper we call money. Why do we accept them? Following the view of Plato and Aristotle, economists regard the acceptance of money as a historical fact introduced by government decree. It is government decree, arguably, that makes a particular thing accepted as the general medium of the exchange, i.e., money. Carl Menger raised doubts about the soundness of the view that the origin of money is a government proclamation. 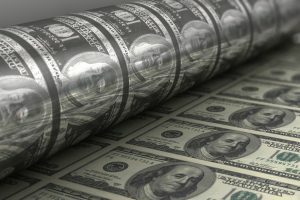 Shostak discusses why conventional demand and supply analysis fails to explain the price of money; Mises provides support to Menger’s insight; from commodity money to paper money; and how the central banks enforce a paper standard. Mises’s regression theorem shows that money did not emerge because of government decree. The acceptance of money is dictated by its purchasing power. The regression theorem shows that the purchasing power is acquired because money originated as a commodity. The regression theorem also shows that paper money has a purchasing power because initially it was fully backed by a commodity—gold. As a result of persistent undermining of the physical commodity, the present paper standard survives because of the ongoing money printing by the central bank. At some stage, the continuous pumping may result in the monetary system becoming unstable. Thus, we run the risk that boom-bust cycles could become vicious.